Fancy Dress. ugh, those two words fill any mother or father with HORROR. i can’t decide whether or not i’m lucky. my daughter was born on halloween, so i’m either destined for a life of fancy dress parties for her birthday every year, or just to be oppositionally defiant (as is her constant NEED, so it seems….) she will refuse to do what is expected of her and forsake a dress code for her birthday parties. in any case, the big day is approaching, and supermarkets and high street shops across the country are being filled with garish and ghoulish multicoloured polyester, for children to wear out trick or treating, or to scare their teachers witless with. i cannot stand all the blood covered, monster or freak show outfits – little kids shouldn’t be dressing up as monsters or frankenstein or dracula, it just feels All Wrong. maybe that’s because i’m a mum to two toddlers as opposed to school age kids, and it just doesn’t feel right. i also have issue with little girls being encouraged to dress up as princesses and little boys dressing up as police officers or other authoritarian or intellectual pursuits, but that’s a WHOLE OTHER blog post. 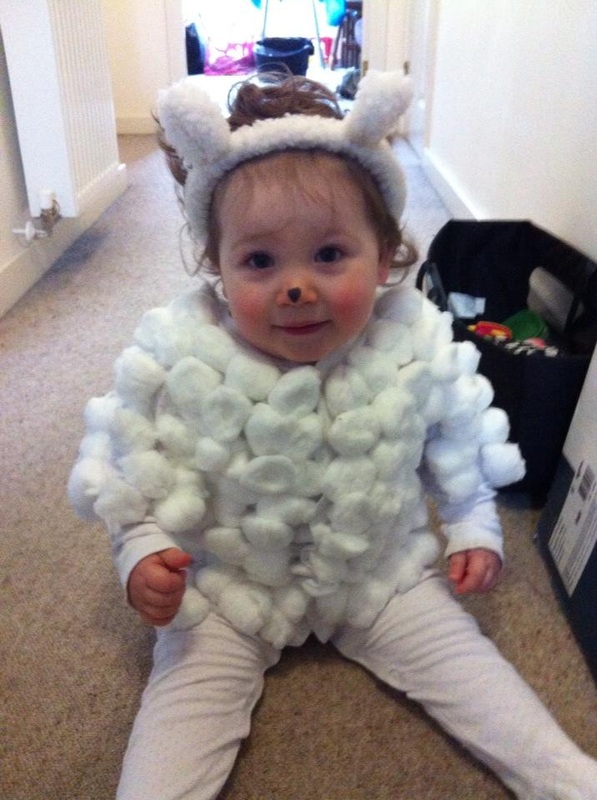 Fancy dress isn’t cheap, is it? The supermarkets are winners here with cheaper versions of the eye wateringly expensive authentic dresses – I mean, 60 QUID for a certain very cold dressing up dress?!? That’s more than I’d spend on a dress for myself?! ?